Before Google, Yahoo and even Apple, before the Silicon Valley cliché of informal dress code, skateboards running the corridors and wild creativity became commonplace, one company embodied the digital economy lifestyle and business style: the one firm coming out of the Age of Aquarius was Atari. The story of Atari is two-thirds the story of Nolan Bushnell, founder and visionary, and one-third the first and probably biggest boom and bust of the new economy some 20 years before the new economy even existed. Atari was showing that technology is cool, way before the personal computer revolution took place and they were reaching out to an ever-growing audience with something that is still cool today: video games. 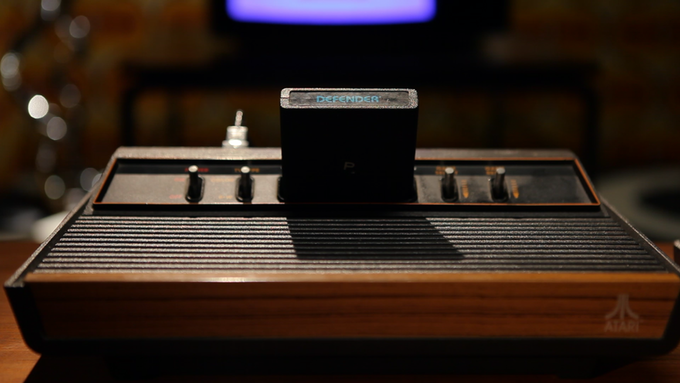 Atari literally introduced the digital world to the mass consciousness. Atari is a story to be told for two main reasons: it is pure fun and it is impressively educational. This 100 minutes long documentary about the Atari story will be narrated by Bil Herd, former Commodore senior engineer and our spokesman from the 8 bit era, and will feature a list of unreleased interviews with the key people of these events, including a very rare one with Warner VP Manny Gerard and a unique one with Atari CEO Ray Kassar, the man held responsible for Atari success and the video game industry crash at the same time, who never appeared in a documentary before. All the people appearing in this movie are far from verbose. They are not trying to build any kind of mythology about genius, vision or the will to change the world, they are telling the truth about going for the billions and screwing it up because they are simply human beings and they were moving into unknown territories. This is a completely different Silicon Valley from the one we are used to hearing about, less heavenly, much more earthly, much more true, a lot more engaging. We are on Kickstarter to not let this footage rest unused. We need your help basically to finance the post-production process. With this money, we are going to pay for editing, mixing, color grading, additional CGI and VFX work and the use of images under third party rights. The process of bringing a product to the people and get money back is a very long one. We learned that only Kickstarter allows us to connect directly and fast with the audience so that we can deliver our product to them some 12 months in advance over distribution, if any will be. On top of that, here, we have the chance to engage people to a higher level if they are willing to, with a different kind of involvement, or else to deliver them the basic movie at a cost not much different from a distant and uncertain retail sale. Additionally, all the special editions with the uncut Nolan Bushnell interview and with the signed thank you letters are available only to Kickstarter backers. There are no plans to distribute them elsewhere. In 2015 we completed a very successful Kickstarter campaign (https://www.kickstarter.com/projects/1744798558/growing-the-8-bit-generation/description) that permit us to complete and deliver our first documentary. 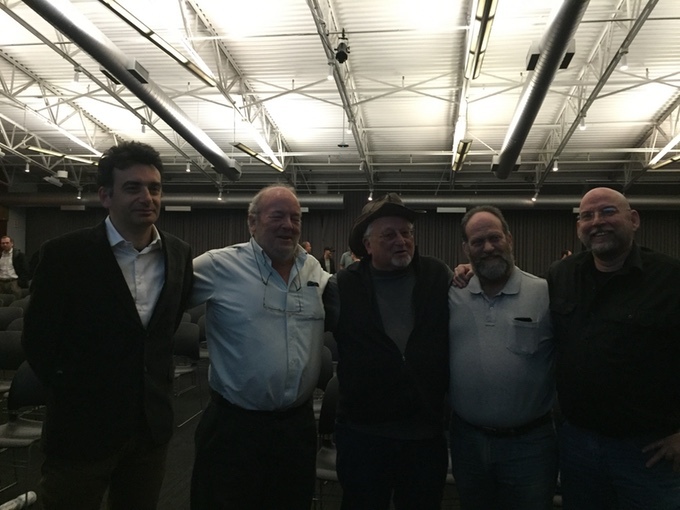 After that, on March 30, we had the world premiere at the Computer History Musem. In that occasion, we received compliments from all the audience and from the main protagonists we interviewed. Allan “Al” Alcorn. Is a pioneering engineer and computer scientist. Alcorn was the designer of the video arcade game Pong, creating it under the direction of Bushnell and Dabney. Pong was a hit in the 1970s. In addition to direct involvement with all the breakout Atari products, such as the Atari 2600, Alcorn was involved at some of the historic meetings of Steve Wozniak and Steve Jobs (at that time an Atari employee) presenting their Apple I prototype. Minoru Arakawa. Born in Kyoto, Japan, he married the daughter of Nintendo president Hiroshi Yamauchi, Yoko Yamauchi. Hiroshi invited him to establish Nintendo of America, an offer which he accepted. After a disastrous experience with the Radar Scope arcade game, he rebounded by converting the poorly received Radar Scope to the phenomenally successful Donkey Kong. He was instrumental in rebuilding the North American video game industry (after the crash of 1983) with the Nintendo Entertainment System. 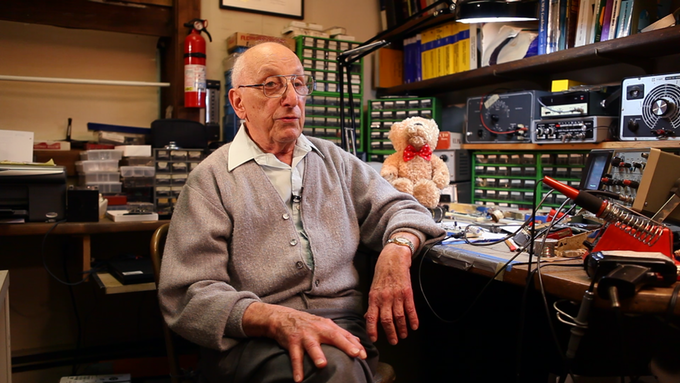 Ralph H Baer. Is a video game pioneer, inventor, engineer, known as “The Father of Video Games”, who is noted for his many contributions to games and the video game industry. In 2006, he was awarded the National Medal of Technology for inventing the home console for video games and spawning the video game industry. 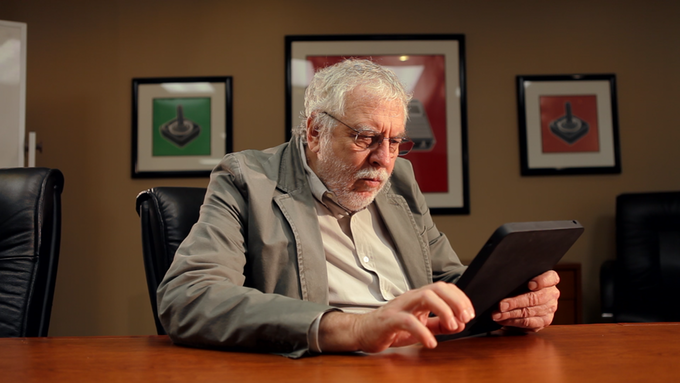 Nolan Key Bushnell. Is an American engineer and entrepreneur who founded Atari. Bushnell has been inducted into the Video Game Hall of Fame and the Consumer Electronics Association Hall of Fame and was named one of Newsweek’s “50 Men Who Changed America.” Bushnell has started more than twenty companies and is one of the founding fathers of the video game industry. David Crane. Is a video game designer and programmer. 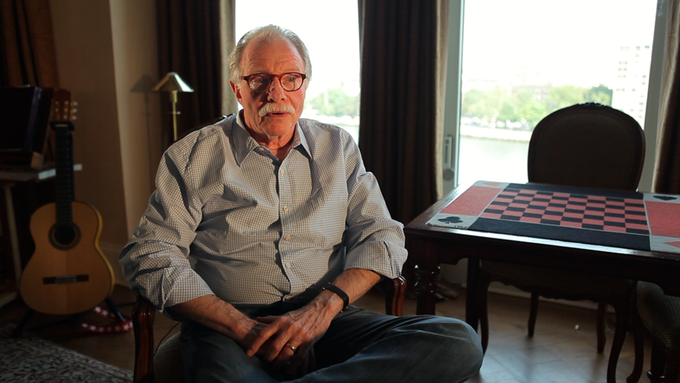 Crane started his programming career at Atari, making games for the Atari 2600. Crane left Atari in 1979 and co-founded Activision, along with Alan Miller, Jim Levy, Bob Whitehead, and Larry Kaplan. At Activision, he was best known as the designer of Pitfall!. Pitfall! was a huge hit, and maintained the top slot on the Billboard charts for 64 weeks and was named video game of the year in 1982. Walter Aldro Day, Jr. Is a businessman and founder of Twin Galaxies, video game related company. Day is a “world-renowned expert” in video game scorekeeping records who in 2010, retired from the industry to pursue a career in music. Joe Decuir. Was one of the original engineers at Atari, who helped design, build, and produce the Atari 2600. He also wrote the game Video Olympics, a Pong collection that launched with the system. He later went on to help develop the Amiga, and the USB architecture. Joe Decuir has worked in the development of public engineering standards since 1987, including TIA, ITU, ETSI, IEEE 802, USB-IF, Bluetooth SIG and WiMedia Alliance. Manny Gerard. 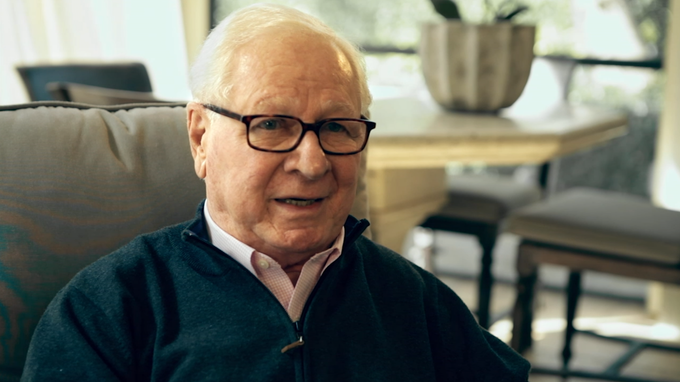 Former vice president at Warner Communication he advised and led the purchase of Atari in 1978, thus merging digital entertainment and movie industry for the very first time. Under his guidance the company went to earn 60% of total Warner profits with 2billion $ a year and eventually cracked down and was dismissed. Eugene Jarvis. Is a game designer and programmer, known for producing pinball machines for Atari and video games for Williams Electronics. Most notable amongst his works are the seminal arcade video games Defender and Robotron: 2084 in the early 1980s, and the Cruis’n series of driving games for Midway Games in the 1990s. He co-founded Vid Kidz in the early 1980s and currently leads his own development studio, Raw Thrills Inc.
Raymond E. Kassar. Was president, and later CEO, of Atari Inc. from 1978 to 1983. He had previously been vice-president of Burlington Industries, a textile company. During the Kassar years, Atari Inc.’s sales grew from $75 million in 1977 to over $2.2 billion just three years later. In December 1982, Kassar had sold 5,000 shares of stock in Warner Communications only 23 minutes before a much lower than expected fourth quarter earnings report would cause Warner stock to drop nearly 40% in value in the following days. In July 1983, Kassar was forced to resign from Atari Inc. over mounting allegations of illegal insider trading activity of which he was later completely acquitted. Steven L. Kent. Is an American writer, known for video game journalism. He eventually became a contributor to such video game publications as Electronic Games, Next Generation, and Computer Entertainment News, as well as such mainstream publications as Parade, USA Today, the Chicago Tribune, MSNBC, the Japan Times, and the Los Angeles Times Syndicate. He also wrote entries on video games for Encarta and the Encyclopedia Americana. Chris Kohler. Has been writing, talking and generally thinking too hard about videogames for the past couple of decades.He has written about games for Wired.com and Wired magazine since 2002 and is the editor of Wired.com’s videogames blog Game|Life. He’s the author of two books on games: Power-Up: How Japanese Video Games Gave the World an Extra Life and Retro Gaming Hacks. Charles Ingerham “Chuck” Peddle. Is an electrical engineer best known as the main designer of the MOS Technology 6502 microprocessor; the KIM-1 SBC; and its successor the Commodore PET personal computer. The 6502, developed in 1976, was used in many commercial products, including the Apple I and II, Commodore VIC-20 and 64, Nintendo NES, Atari 8-bit computers, BBC Micro from Acorn Computers and several coin-op video games of the Golden Age. Ed Rotberg. 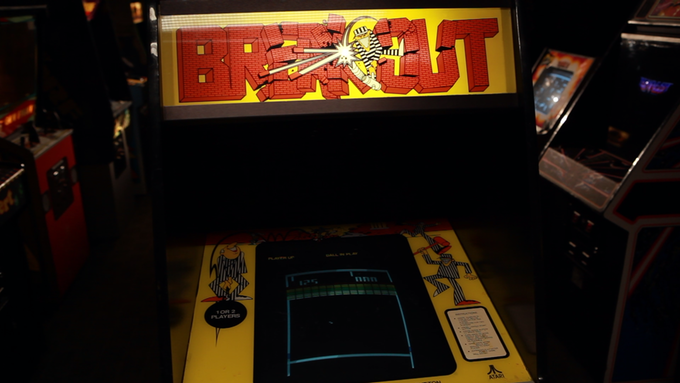 Was a key member of Atari’s coin-op division: “Missile Command,” “Asteroids,” “Centipede,” “Tempest”. 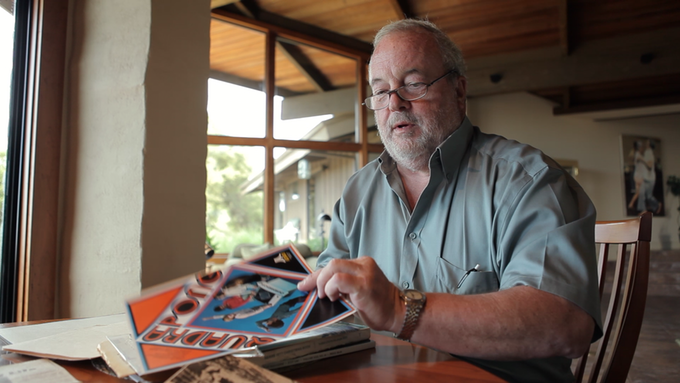 He was the primary force behind the 3-D tank game, “Battlezone.” In 1981-1986, Ed was Vice President of Software at Sente, Atari founder Nolan Bushnell’s new coin-op company. Later, he worked for Apple Computer and 3DO–two companies that have attracted a surprising number of old-time game folks. David Rolfe. Is a computer programmer who was instrumental in the development of many “golden age” arcade and home video games. Rolfe worked on Football II, one of the early LED-based handheld electronic games. When Mattel decided to enter the home console market Rolfe programmed the “exec” software —the operating system — for the Intellivision, as well as the system software for the Intellivision Keyboard Component. Steve “Slug” Russell. Is a programmer and computer scientist mostly famous for creating Spacewar!, one of the earliest videogames, in 1961 with the fellow members of the Tech Model Railroad Club at MIT working on a DEC Digital PDP-1. While there is some debate over priority regarding the concept of computer-based games in general, Spacewar! was unquestionably the first to gain widespread recognition, and is generally recognized as the first of the “shoot-’em’ up” genre. Howard Scott Warshaw. Is a former game designer who worked for Atari in the early 1980s, where he designed and programmed the games Yars’ Revenge, Raiders of the Lost Ark. It was his success on Raiders that led to Warshaw being chosen to design and program the ill-fated Atari 2600 adaptation of E.T. the Extra-Terrestrial. The game was poorly received and seen as being confusing and frustrating. Atari took a major financial loss on the project, which combined with other poor business decisions and conditions, led to the company being divided and sold within two years. Stephan Gary “Woz” Wozniak. Is the computer engineer and programmer who founded Apple Computer with Steve Jobs. Wozniak created the Apple I computer and the Apple II computer, which contributed significantly to the microcomputer revolution of that era. In February 1981, Wozniak was injured in a private plane crash. In 1983 he returned to Apple product development, desiring no more of a role than that of an engineer and a motivational factor for the Apple workforce. 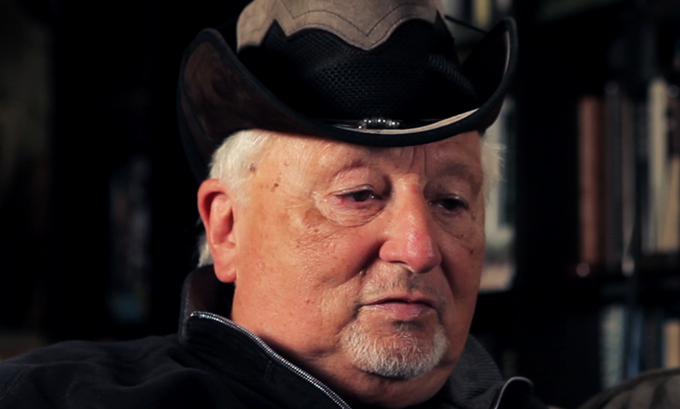 There are no risks: all interviews and additional footage are already shot. We just need to pack everything in another awesome documentary and deliver!